The article was first published in Times of Israel blog. 4 out of 10 girls I met at the ulpan for olim hadashim in Haifa made their way to Israeli beauty business within the first year after moving here. All these women, mainly from CIS countries, had a different professional history before coming to live in Israel. Among them, there were accountants, lawyers, psychologists, and teachers. I kept thinking what is so special about being a nail master or a hairdresser or a face therapist? Is this because there are state-funded courses for manicurists, hairdressers, and nail specialists, which were highly advertised among ulpan students? Or is it an easy way to make money? Most of my ulpan friends thought it was easy to enter the beauty industry with small Hebrew and without serious training compared to medical services, accounting, and teaching, that need the language and local schooling. Plus, many chose this field as an alternative to low-paid jobs like cashiers, factory workers or nannies, that many immigrants end up doing because of limited Hebrew. Yes, from outside it seems that beauty related jobs could be an easy way to get and make money. However, successful professionals, who have earned a name and a reputation locally, say beauty business is not always easy. Like in any job, where you want to succeed, it takes time, experience and dedication. First of all, it is not easy to build clients base in a new country. 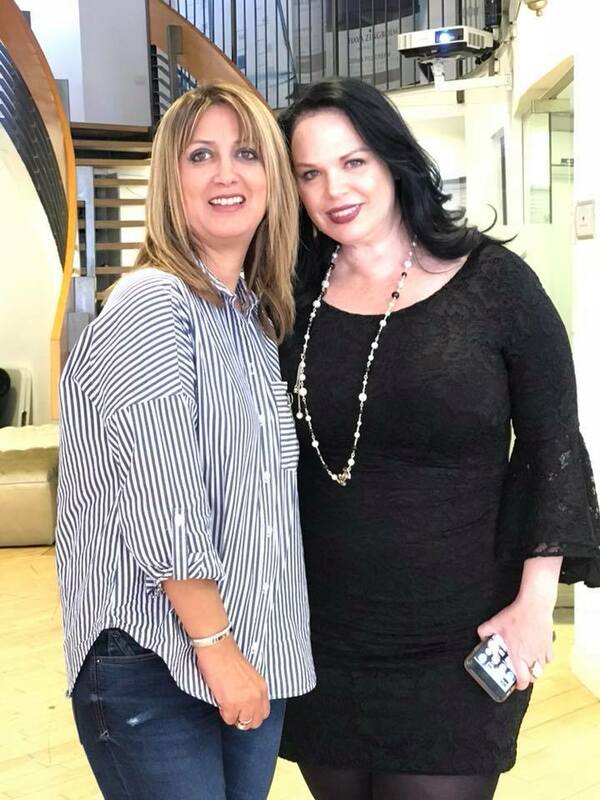 You need to be excellent in your profession, so clients return to you, says my ulpan friend Olesya Tkachenko, owner of LeGrand Beauty Salon. 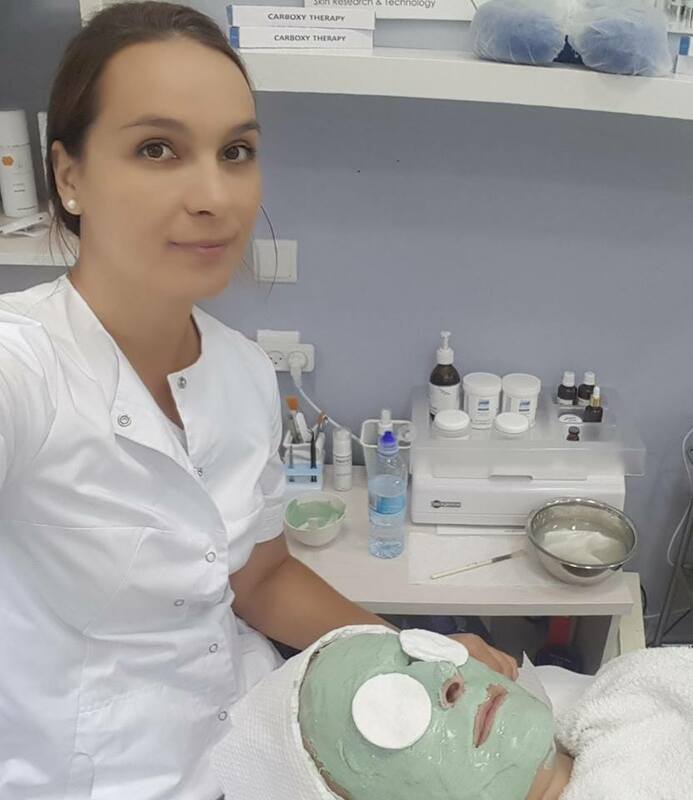 Olesya Tkachenko, a graduate of medical college back in Russia, had been in the face care for more than 15 years, including running her beauty center in St. Petersburgh. “So far in Israel, you can start beauty care services without a recognized license unless you have a medical background and professional beauty care experience from your home country. There is no official regulating institution. Of course, if you use injections you need to have a medical license. For massage, face cleaning and nail therapy, there is no need for certification. However, it is preferable you do some locally recognized courses for beauty specialist which take time and investment. For example, my clients need professional skin renewing pealing made by a local Israeli company. So the company who sells the product will not sell it to me without training since pealing can damage skin if not used without due knowledge about side effects, its ingredients, skin reaction, etc.”, says Olesya. Tanya Koval, the professional clothes designer in the past, came to the beauty industry because she wanted a career change and to be flexible enough to have time for her family. For her, a nail salon is a place, where she comes to express her artistic talents. And you can see it by the “artwork” she creates on her clients’ nails. I never thought a nail could be such a complicated matter with paintings, stones, and the touch of a genius. “I love painting from childhood. I used to paint on paper, fabric, wood and now I paint on women nails. It is enjoyable for my clients and me. I like my new profession because it is a place, where you can always learn something new. Today, the beauty industry is so advanced, so you get new products almost every year. Before we offered acryl to our clients, now most are using different types of gel that last longer and less damaging on the nails. It is not only about components and materials you use for gel nails, for example, but also fashion trends. In a sense, we work on the edge of fashion and medical care. Did you know that there are different styles for nail design – Chinese painting or Geometry?” asks Tanya. Tanya has been studying nail therapy techniques and tricks for half a year to get her first job at Manicure.co.il, a beauty center in Nesher. “My other experienced colleague is in the nail salon has been in the industry more than nine years, and she still keeps growing. She attends international exhibitions, design courses to be up to date in the profession. She also teaches other new people like me, who are just starting”, tells Tanya. 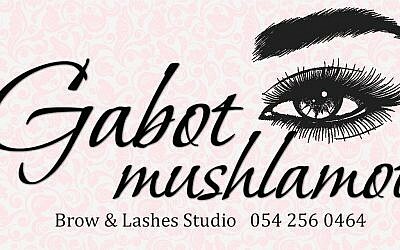 Another young woman, who is building a strong clientele with her skills and friendly vibes is Natali Kopaeva, owner of the home-based studio for brow-design “Gabot Mushlamot”. Natali Kopaeva and her client. Natali is also working on creating a special product that will help her clients, who want to grow natural brows. “In order to help women who are suffering due to that “little” problem – lack of hair on brow area, I created new “Oil essence”. It is working as growth activator for the hair follicle. I call it aroma-brushing because all you need to do is gently brush your eyebrows with “Oil essence”, says Natali. There are strong going beauty masters, who already created successful beauty business locally and now aiming at the international markets. 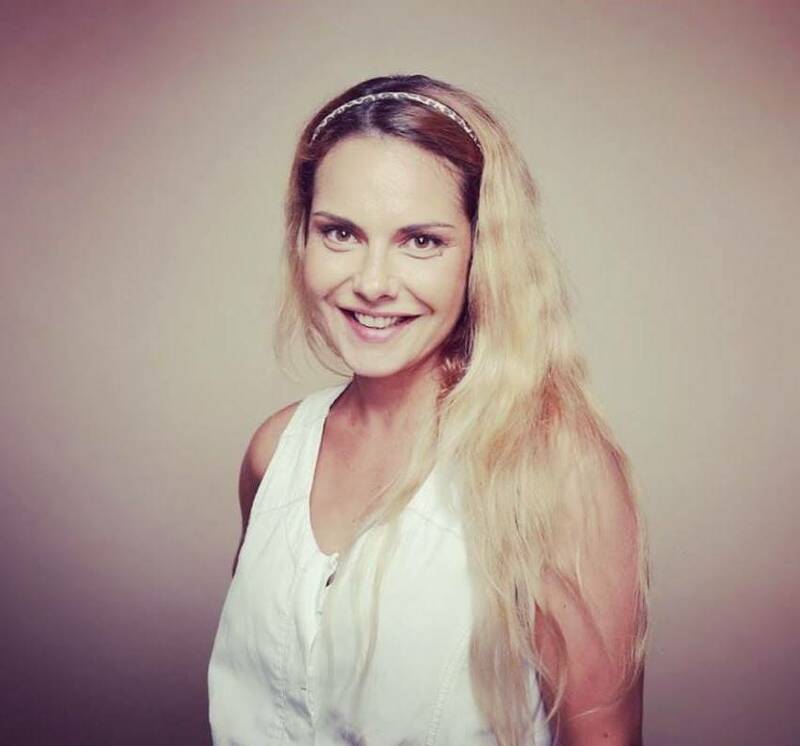 Among them – Julia Shabbat, founder, and owner of the beauty house “Maiko”. Maiko masters pamper clients with different aromatic feet creams, oils for nails, gentle scrubs and rich butter for hands, all developed by the company itself. I came to spoil myself with the pedicure and end up buying exotic shampoo made of camel milk. The shampoo makes my hair silky and healthy looking like no other product I tried from famous Israeli and non-Israeli brands. “Maiko as a company started in 2015. 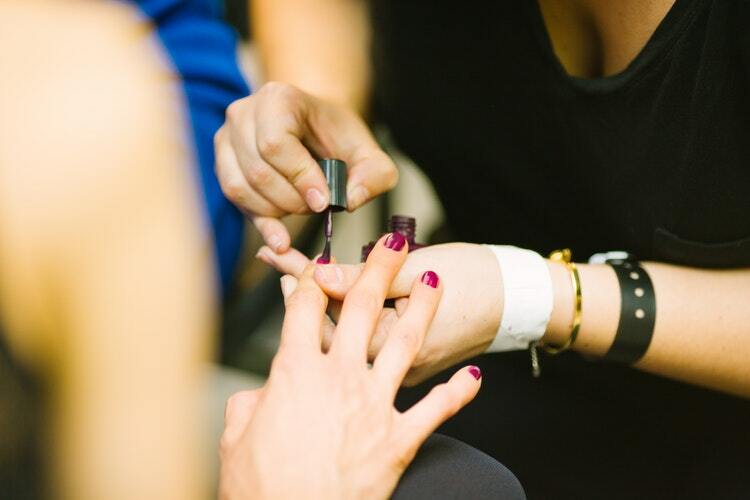 From the start, I decided that my beauty stations for nails, massage, and skin care will use unique and high-quality products developed by me in cooperation with professionals in the cosmetic industry. This is what makes my business stand out from others”, tells Julia. All of the products used by Maiko centers are all made in the North of Israel. The company plans to start selling them all over Israel and abroad. 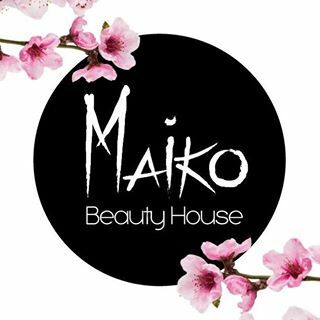 Maiko’s main target is to sell not only beauty services but quality Israeli-made skin, nail and hair care products of natural ingredients. Julia recently returned from the international Cosmoprof beauty expo in Hong-Kong, where she presented Maiko’s beauty products for the wider public for the first time. The company got positive reviews and participants of the expo showed interest in wholesales and cooperation, according to Julia. Julia Shabatt at Cosmoprof expo in Hong Kong, November 2018. Dorit Malka came to beauty business 20 years ago. Six years ago she started her own luxury beauty salon Do Cosmetics in Mercaz Carmel in Haifa. Dorit is working with renowned Israeli cosmetic brand developed by Hava Zingboim. “In the past, I was an accountant and decided to make a career change. In addition to being cosmetician, I am also a certified coach. I think beauty can also be a state of mind. I help my clients to be beautiful inside and outside. The most important in my job is to keep learning and introduce innovative treatments and solutions for skin care”, says Dorit. 1. Trustworthy, organic recommendations from clients, who tried the beauty services personally. 2. The professionalism and friendliness of the staff. How do they treat clients from the first connection on the phone or at the reception? It is all about positive vibes and energy, after all. 3. Interior and general aesthetics of the place. Is it beautiful and clean inside and out? 4. The quality of the cosmetic products used for beauty procedures. These are the recommended beauty businesses in Haifa, whose professionals were interviewed for this post. All of them have multilingual personnel, who speak English, Russian and Hebrew. 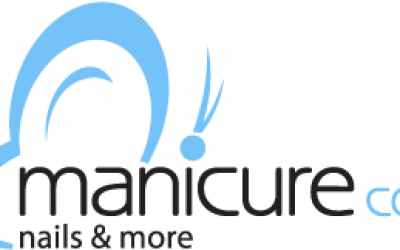 Services: face care, reflexology, manicure, waxing, pedicure, cosmetic shop. “Amazing treatment! It was great and a crazy experience! The place was full of balloons and gave us a cake. Great service! Beautiful girls, funny and professional! We enjoyed ourselves very much and will return with certainly”. Addresses: Ben Gurion Ave, 6 City Center Mall, Haifa. 134 Hanassi St., the Auditorium, Haifa. Address: Raul Wallenberg, 9 Haifa. Services: skincare, hair removal with laser, cosmetic shop. Services and products: manicure, pedicure, brow and lashes coloring, training the beauty personnel. Address: Via Bar Yehuda 48, Nesher. Services and products: brow and lashes coloring, tattooing.